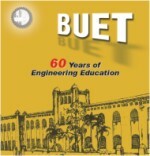 During last several months in 2007, Bangladesh University of Engineering and Technology (Buet) has been quite busy arranging numerous programmes. Apparently considered isolated from others, they literally opened up to all for a reason. Dr. Annadacharan Khastagir was not only a great physician but also a strong leader of “Brahmma Society” of Chittagong. The philanthropist was involved in many social works and had special feeling for women's education.